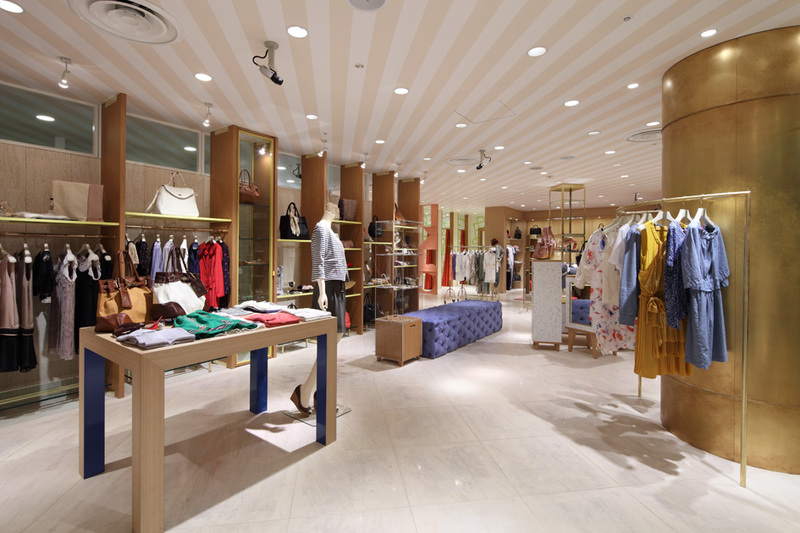 Jamo originally designed the interior for FREE'S SHOP in 2006 and then again for a redesign in 2011 when the store decided it wanted to "age together with their customers" and offer a more relaxed shopping atmosphere for a slightly older woman. 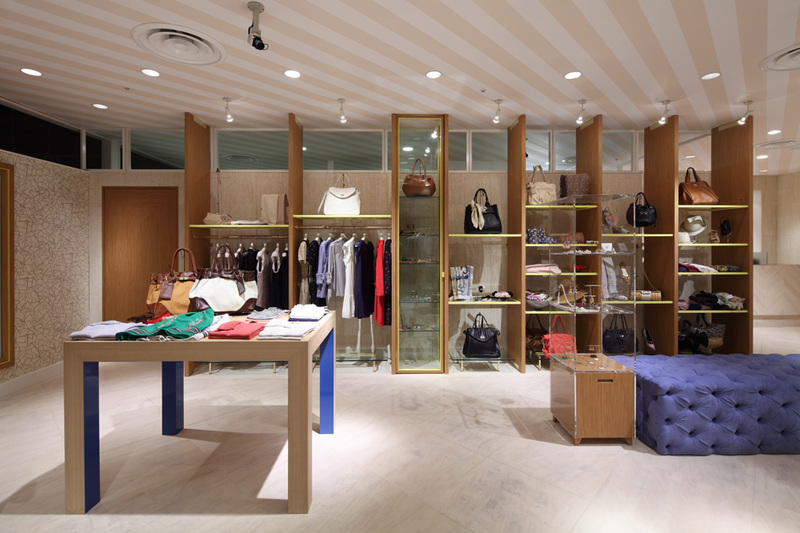 The primary materials used are limestone and teak and the atmosphere throughout the store was made one of lightness and calm. 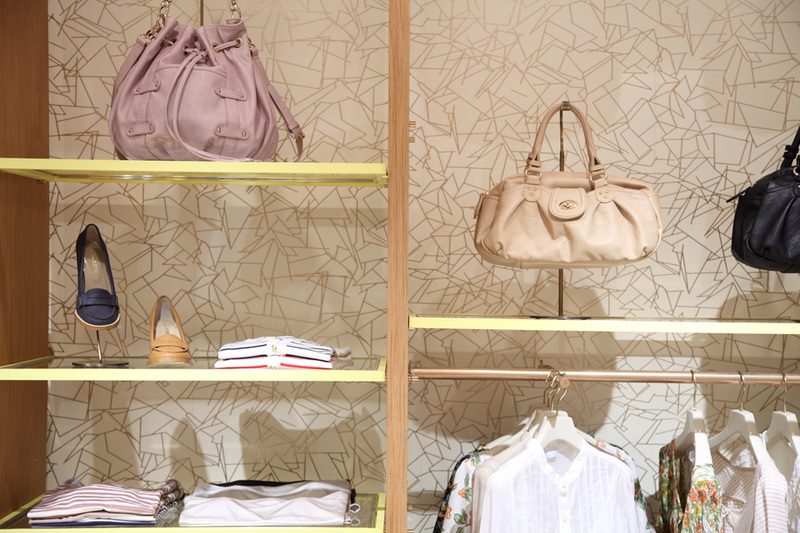 The brand's sense of "cool sweetness" is expressed through a palette of smoky pastels and brass with lustrous patina. 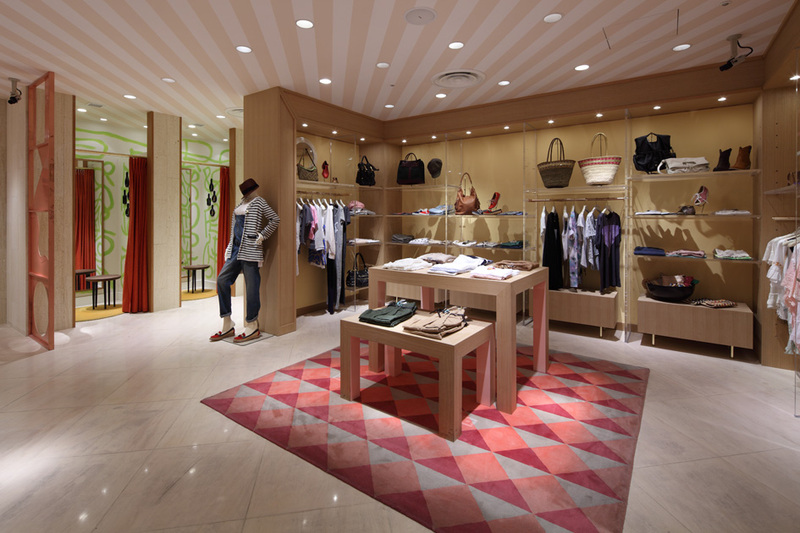 A sense of dynamism was given to the space by using various colorful and bold graphic touches, such as stripes on the ceiling, geometric print carpets, and graffiti on fitting room walls.